Pictured: Owner of Gallery 4 Nigel Bennett. Gallery 4, located in the heart of Sandymount, Dublin 4, is once again open for business. The gallery has been in Sandymount since 2006 but for the past two years it was open by appointment only, as demand for art dropped during the downturn in the economy. 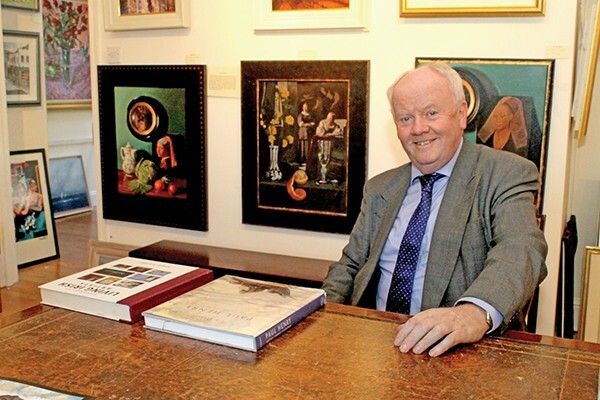 Owned by Nigel Bennett, Gallery 4 specialises in 20th Century and Contemporary Irish Art. Nigel, pictured right, is well-known in the area for his association with Bennetts Auctioneers where he still plays a consultancy role. An avid art collector himself, he is happy to offer clients the benefit of his expertise. Gallery 4 holds regular exhibitions of established and emerging Irish artists and the Nigel is always on the lookout for new talent. Contemporary artists who want to exhibit and sell their work are welcome to contact the gallery. Manager Kay Mulligan will be there from 12pm – 4pm, Wednesday to Saturday, or by appointment at other times, to offer help and advice. Visitors can come to browse or buy, all are welcome! Is It Time To Resurrect The Ancient Fair of Donnybrook?